Of Note: The pineapple has been a longstanding symbol of welcome and hospitality. 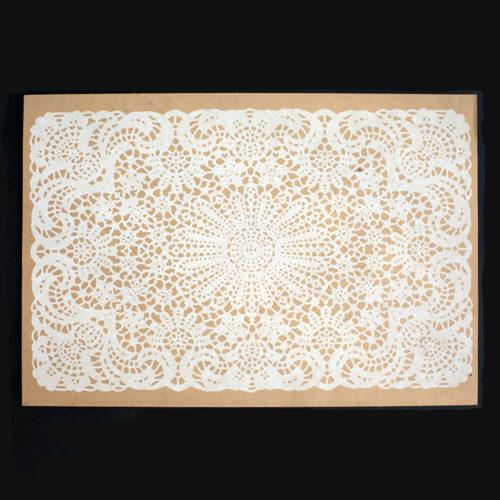 A 50 Sheet pad of disposable place mats featuring a large white heart and circle pattern. Clean, modern, for everyday or a special day. Each place mat printed in the USA on a smooth, brown paper in white ink. Reusable until you are ready to refresh! Simply tear off another. Generous 12″ x 18″ size. For picnics, hostess gifts, mountain homes, at the beach or at your home. For any occasion. You will recognize the pattern if you are from the South Carolina Low Country. 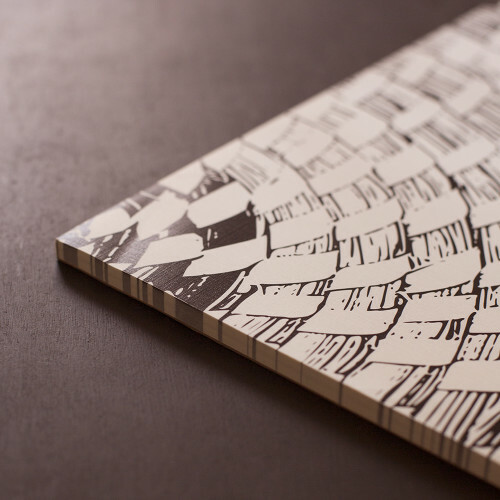 A 50 Sheet pad of disposable place mats featuring the hand woven sweetgrass pattern, a woven art form of African origin . 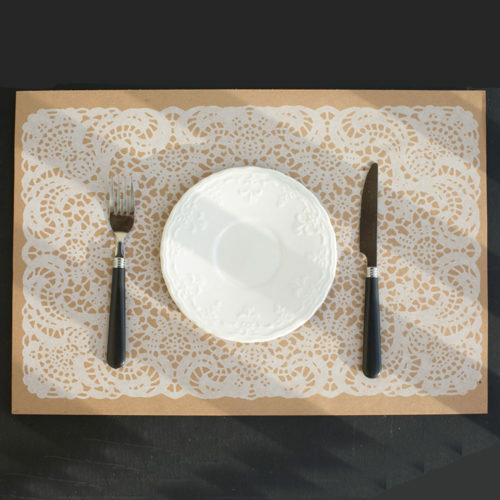 Each place mat printed in the USA on a lovely, textured, linen paper in warm, brown ink. Reusable until you are ready to refresh! Simply tear off another. Generous 12″ x 18″ size. For picnics, hostess gifts, mountain homes, at the beach or at home. For any occasion. Easy-peasy with our new Place Mat Tablets. 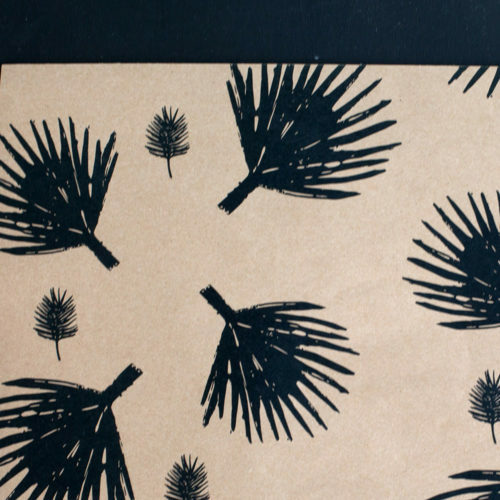 25 Sheet pad of disposable place mats featuring our Palm Fronds. Take them to the beach or for casual dining anywhere. Set the table with minimal effort. 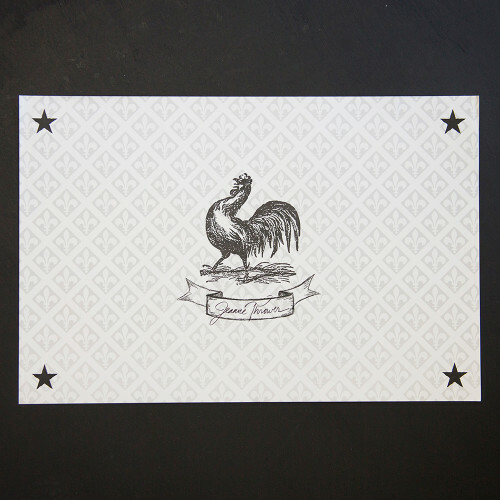 Each place mat printed in the USA in onyx black ink on brown Kraft recycled paper. Reusable until you are ready to refresh! Simply tear off another. Generous 12″ x 18″ size. Easy-peasy with our new Place Mat Tablets. 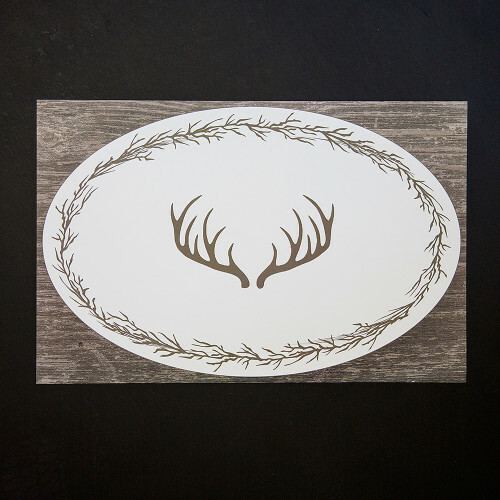 50 Sheet pad of disposable place mats featuring Antlers and twigs against a faux bois background. Each place mat printed in the USA on lovely, textured, linen paper. Reusable until you are ready to refresh! Simply tear off another. Generous 12″ x 18″ size. For picnics, hostess gifts, mountain homes or YOUR home. For any occasion. Easy-peasy with our new Place Mat Tablets. 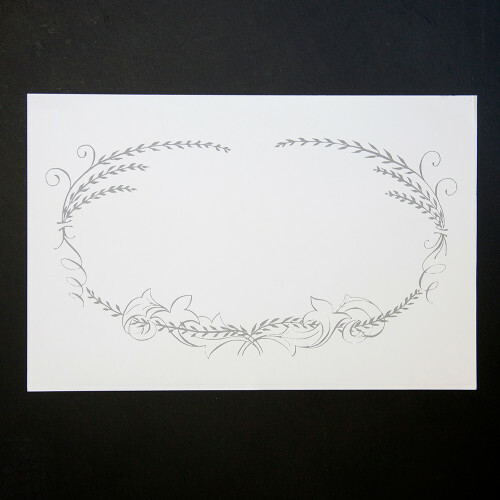 25 Sheet pad of disposable place mats featuring our Hand Calligraphy frame. Lovely for all occasions. Dress up the table for the Holidays or every day with minimal effort. 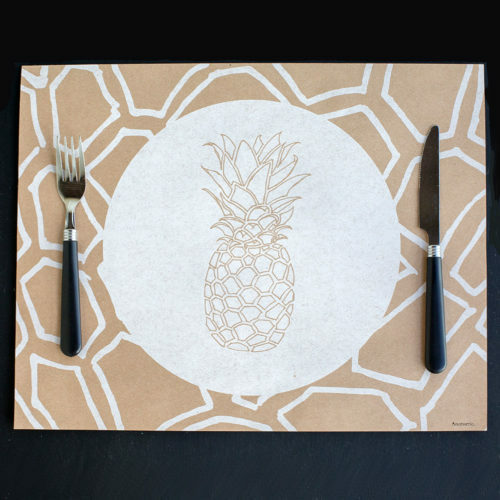 Each place mat printed in the USA in soft gray ink on a lovely, smooth paper. Reusable until you are ready to refresh! Simply tear off another. Generous 12″ x 18″ size. Easy-peasy with our new Place Mat Tablets. 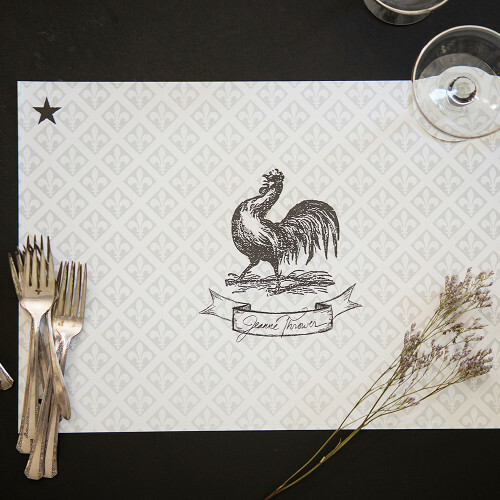 50 Sheet pad of disposable place mats featuring our Rooster against a Fleur de Lis pattern background. A bright greeting for any time of the day. Blank banner can be filled in with your guest’s name or not. 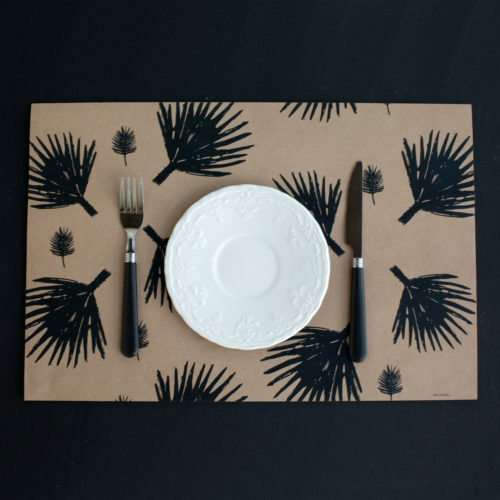 Each place mat printed in the USA in onyx black and gray inks on a lovely, textured, linen paper. Reusable until you are ready to refresh! Simply tear off another. Generous 12″ x 18″ size. For picnics, luncheons, brunch and more.